 We (Dialog Audio | Julian McDole) take the privacy of your personal data very seriously. We treat your personal data with great respect, and will never share it with a 3rd party. By registering to our newsletter, your email address will be added to the contact list of those who may receive our newsletter. We will not ask for any further information. Permission to store this data, including the e-mail address we use to send the newsletter, can be withdrawn at any time. This website uses Google Analytics to help analyse how visitors use this site. Google Analytics uses “cookies”, which are small text files placed on your computer, to collect standard internet log information and visitor behaviour information in an anonymous form. The information generated by the cookie about your use of the website (including IP address) is transmitted to Google. This information is then used to evaluate visitors' us of the website and to compile statistical reports on website activity for Dialog Audio / Julian McDole.